Is It Dementia or Just Aging? 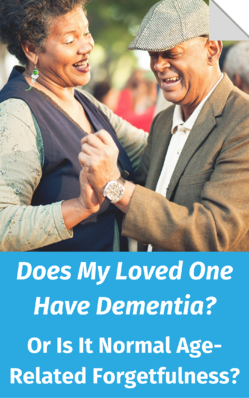 “Does my loved one have dementia, or is it normal age-related forgetfulness?” If you’re caring for an older adult, this thought may have crossed your mind. While certain changes are normal, there are some distinct signs someone may have Alzheimer’s disease or another form of dementia.